Google Translate and other online translation apps, devices, and related technology are readily available. They are used frequently for numerous translations. However, use of and reliance on online translation technology is truly a fraught exercise. While capable of translating individual words or simple commands accurately, Google Translate and its compatriot technologies cannot accurately translate paragraphs, pages, and more complex text. So essentially, it is truly a case of user beware when it comes to language accuracy and Google Translate. This fact is well-known to many, including the U.S. Departments of Justice and Education, Department of Health and Human Services, and federal judges. 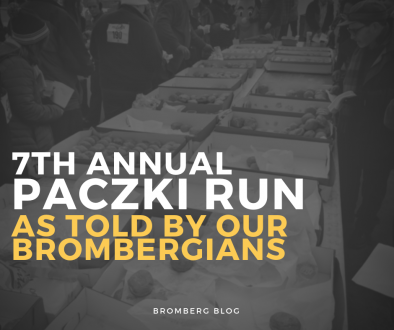 Unfortunately, this issue has not been made known to some Democratic Party candidates who have posted Spanish-language websites about their candidacies. 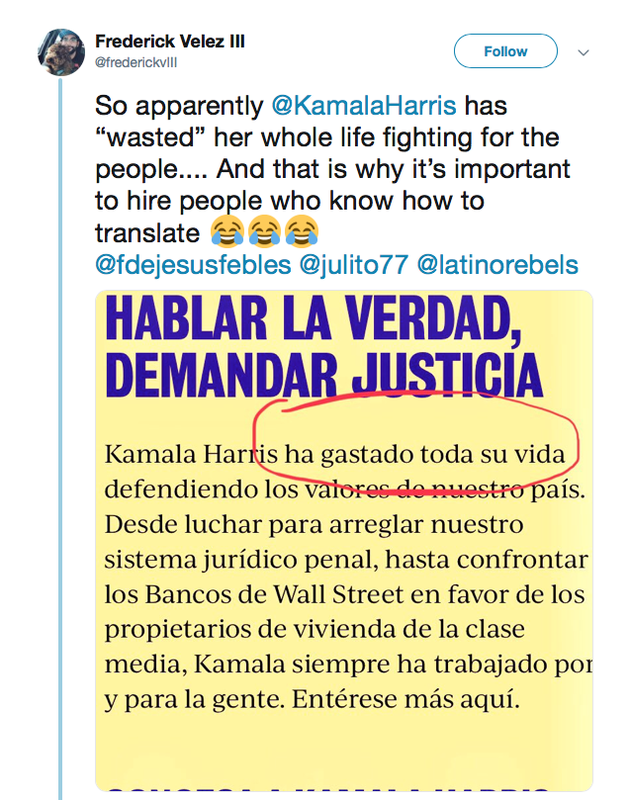 Indeed, an analysis by Politico reveals that some of these candidates’ websites are replete with typos and errors, some of which bear an uncanny similarity to Google translations off the websites’ English text. The Ole Copy-Paste Trick, Eh? 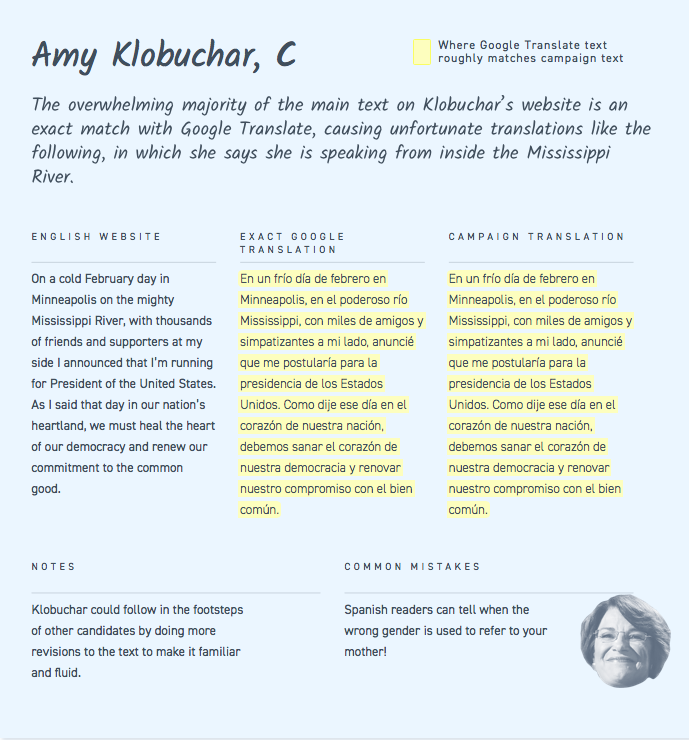 “[Candidates are] posting passages in Spanish on their websites that bear striking similarities to the output from Google’s translation service, appearing to perform only minor cleanup before publishing the copy on their sites. While Google Translate can serve as a workable starting point, more often than not it needs a human hand to produce Spanish that would pass muster with a native speaker. 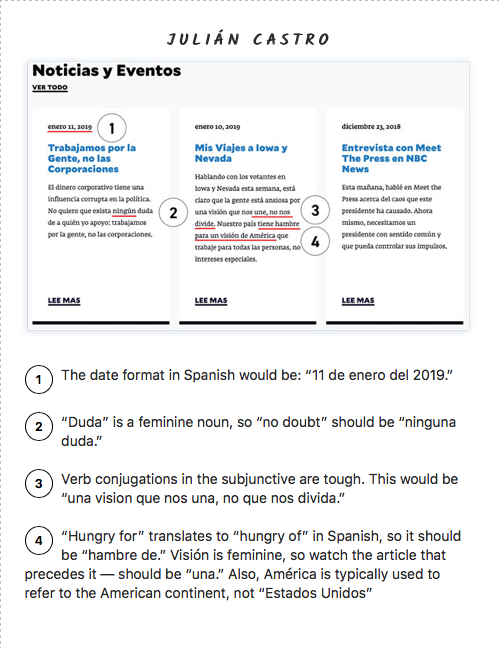 Passages on [Julian] Castro’s Spanish website also bear a close resemblance to the Google-translated text, leading to some awkward phrases. Clearly, these candidates should mind a federal judge’s decision in 2018 that Google Translate is insufficiently reliable. In this case, U.S. District Court Judge Carlos Murguiadecided that a police officer’s use of Google Translate to translate his words seeking consent to search a car driven by a man who spoke Spanish and little or no English was unconstitutional because of Google’s translation inaccuracies. [An expert witness] testified that while “¿Puedo buscar el auto?” is a literally correct interpretation, it is not the question [the police officer] intended to ask defendant. … “[W]hile it might be reasonable for an officer to use Google Translate to gather basic information such as the defendant’s name or where the defendant was travelling, the court does not believe it is reasonable to rely on the service to obtain consent to an otherwise illegal search. And here, Wolting admitted a live interpreter would be a more reliable source for communicating with a non-English speaker and acknowledged he had other options beyond using Google Translate. 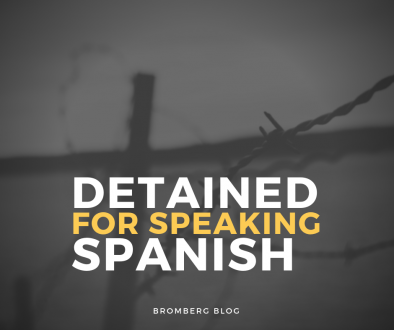 For these reasons the court finds that…it is not reasonable for an officer to use and rely on Google Translate to obtain consent to a warrantless search, especially when an officer has other options for more reliable translations. As these presidential candidates have learned the hard way, Google Translate is not as reliable as it may seem. Never use online translation technology for more than single words and very simple phrases. Always, always have qualified translators review material, especially for a presidential campaign. The consequences of incorrect translations can be both severe and highly embarrassing to say the least. 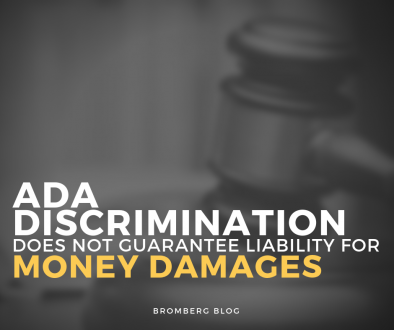 Read some of Bruce Adelson’s other blog posts to learn about more developments in language access law, and be sure to contact us if you’re interested in a consultation about your own organization’s compliance with federal language access law. For other funny and embarrassing Google Translate Fails, check out this blog post.